Diane Schroeder majored in art with a strong focus in interior design at the University of Nebraska. After graduating with a BFA in 1969, Diane chose a career in the design field, but she never abandoned her love for her art. Whether it was three dimensional art interpreted from clients needs and desires or two dimensional painting exploring abstractions interpreted from subtle adventures, both seem to influence eachother. Since her early adult years of painting, Diane has moved from a formal application of oil on canvas to a spontanepis palate of oil and mixed media on paper. Her pieces abstractly suggest landscape shapes and textures and the translucencies and reflections of atmospheric colors. With the exploration of contrast and contradiction, Diane introduced collage as an exciting additional dimension to her work as she continues to define and refine detail and strength. 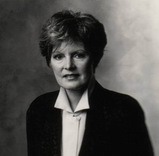 While Diane enjoyed a long, successful interior design career for national and international commercial interior architectural firms, she was represented by a Chicago gallery for some time and continued to build her painting career under the signature, D Schumacher. In 2007, Diane made a decision to leave the commercial design profession to focus on her art. Her artist signature is now D Schroeder. Her work can be found in the collections of major corporations, private residences and representing galleries.